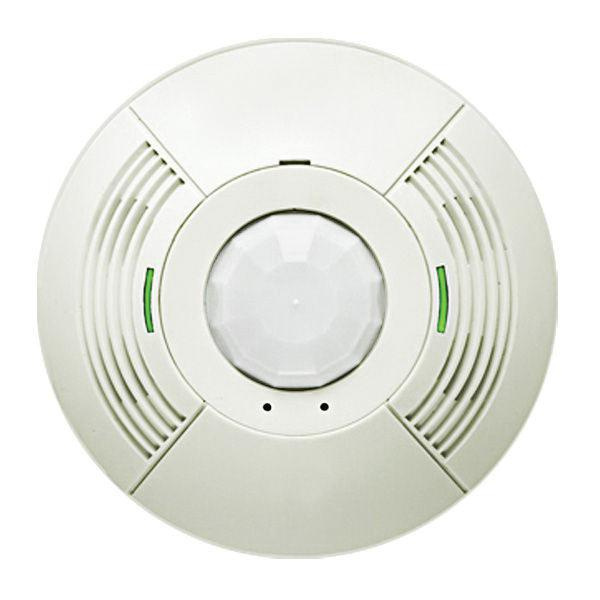 Lutron Occupancy sensor in white color, features passive infrared and ultrasonic technology. It has sensing distance of 500-Sq-ft and 180-degree viewing angle. It features rugged, high-impact injection molded plastic housing. Sensor requires 20 - 24-Volts voltage and 33-Milli-Amps nominal current for operation. It is suitable for indoor applications. Sensor measures 4.5-Inch Dia x 1.4-Inch. It is great choice for complex environment that are difficult to control with single-technology sensors. Sensor offers provide high sensitivity, high noise immunity and better false tripping immunity. Non-volatile memory of the sensor saves learned and adjusted settings in protected memory and power outages will not cause status loss. It has Color-coded 6-Inch Lead terminal connection. It is ceiling mounted at height of 8 - 12 ft. Sensor operates at temperature range of 0 to 40 deg C. Sensor is UL/cUL listed.